When one of the five Olympic rings failed to unfold during the opening ceremony of the 2014 Olympics in Sochi, many saw it as an unsettling indicator of Russia's readiness to host the Games. Those Twitter photos of barely completed hotels and uncovered manholes didn't help either. But, at today's closing ceremony, Russia attempted to prove that isn't above making fun of itself. 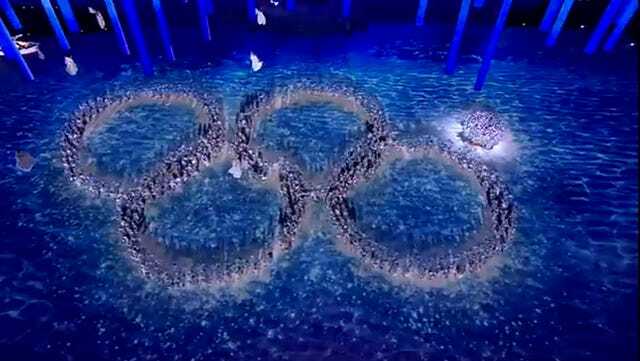 As dancers formed themselves into the Olympic rings, one cluster stayed shut — a nod to the opening screw-up. At the end, however, it unfurled and triumphantly joined the rest of the rings. Aww.